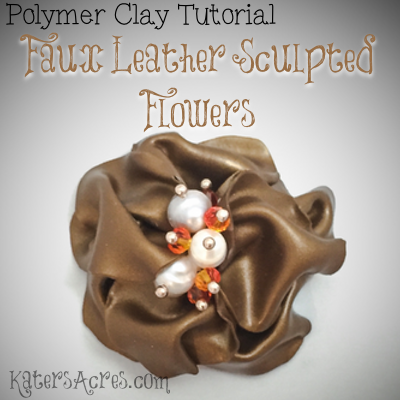 Making these adorable, fun, faux leather sculpted flowers is easy with polymer clay. You can make these for home decor projects, mixed media, jewelry, brooches, and so much more! Learn to make your own with this fun and free tutorial. It is always such a joy to collaborate with other artists. A fantastic artist, fellow clayer, and friend Teresa “Pandora” Salgado has graciously volunteered her time, energy, and effort to bring you a free fairy potion bottle tutorial. 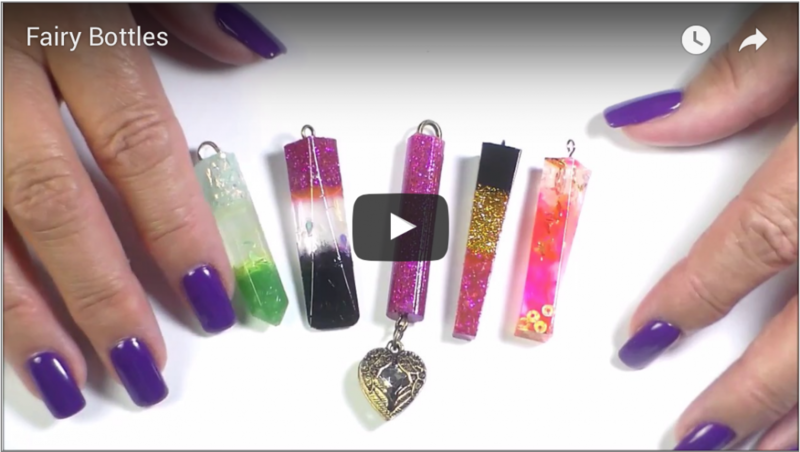 This tutorial is not only brightly colored, unique, and a lot of fun, but is a great jewelry project for an artist of any skill level. 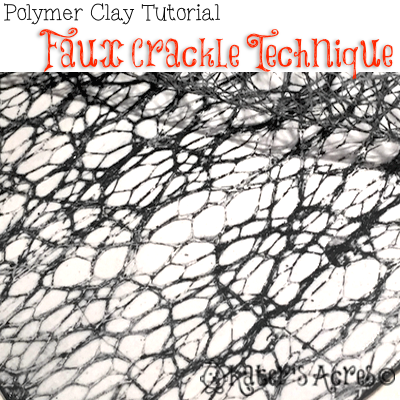 This easy, faux crackle technique can become the base for a multitude of clay designs. It works the best the easiest as a veneer technique on raw clay designs. And like many happy accidents and tutorials here at KatersAcres, this faux crackle technique has a story too. It also pairs nicely and easily with the Faux Collage Veneers tutorial too! Are you ready to try it? Let’s get started! This Faux Beach Glass Tutorial will make the perfect summer accessories for home, decor, or even jewelry! The Whimsical Sculpting Tutorials Club is taking a dive into the sea with our Ocean Commotion theme this month and started things off with our über cute Puffed Fish duo. 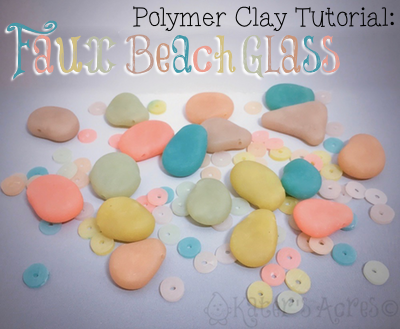 With all our ocean tutorials, it seemed only fitting to offer a free Faux Beach Glass tutorial here on the site for all my readers too! 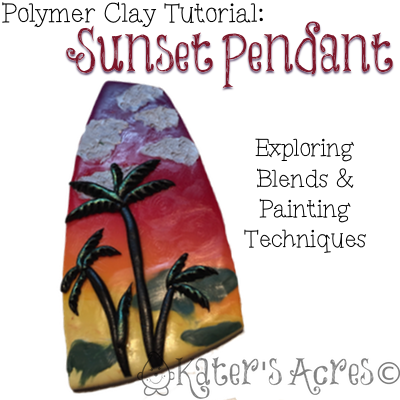 This polymer clay sunset pendant tutorial will introduce you to some basic steps on how to make your own easy pendants to wear this summer. With just a few basic tools and basic skills, you too can create a delightful summer pendant to wear around town. 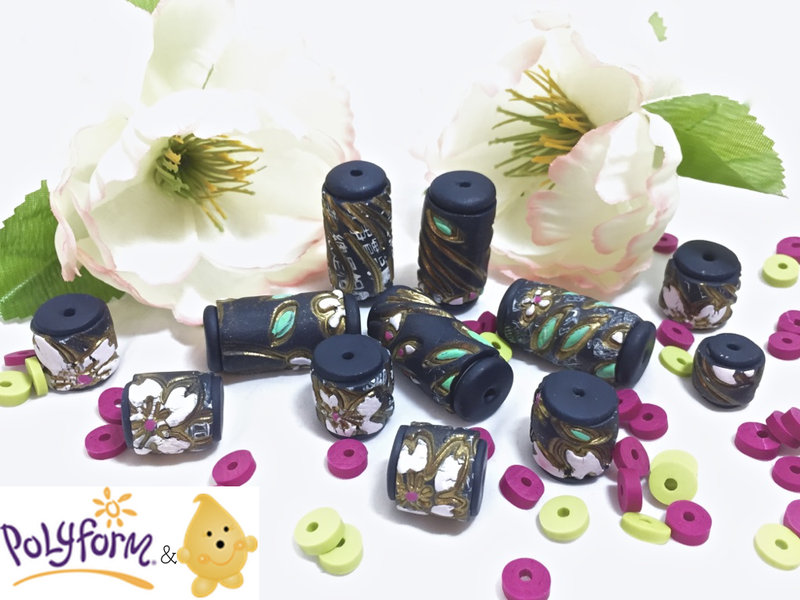 Love the look of Cloisonné but can’t afford it? Make Your Own. Sometimes you just need that perfect something to go with a new outfit. Sometimes even as a sculptor you want to make some beads. Here’s a new take on a very old classic. 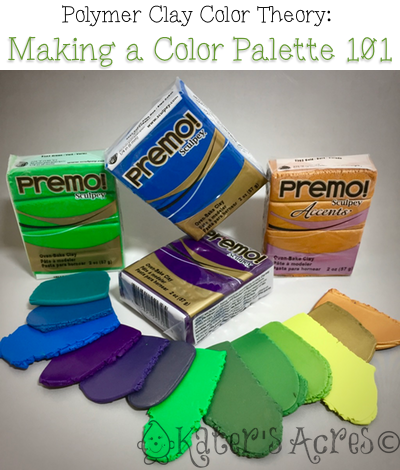 Ready to Learn How to Make a Color Palette in Polymer Clay? Make a color palette in polymer clay? Yes please! Is it something that you struggle with? Is it something that you are great at? Do you struggle to duplicate colors you fall in love with? Today I’m going to show you a quick, easy, fun, & basic approach to make a color palette in polymer clay. The polymer clay that we are going to use today is my polymer clay of choice: Polyform’s Premo! by Sculpey. 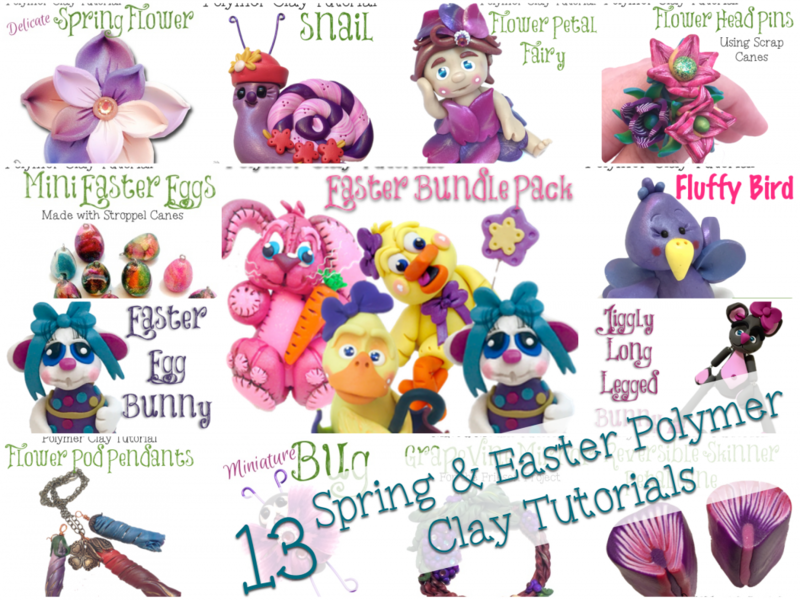 So are you ready to make a color palette in polymer clay?! Let’s go! 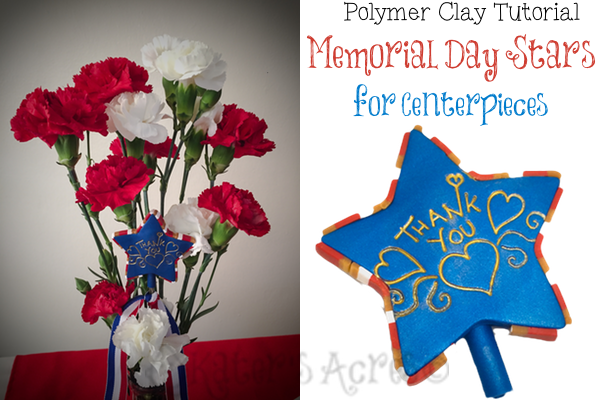 This Memorial Day stars tutorial will show you how to make gorgeous and colorful stars to place on dowel rods to use in flower arrangements, stick in bouquets, use in planters, or a myriad of others ways this Memorial Day. These stars take a little bit of patience, but look beautiful in the end. 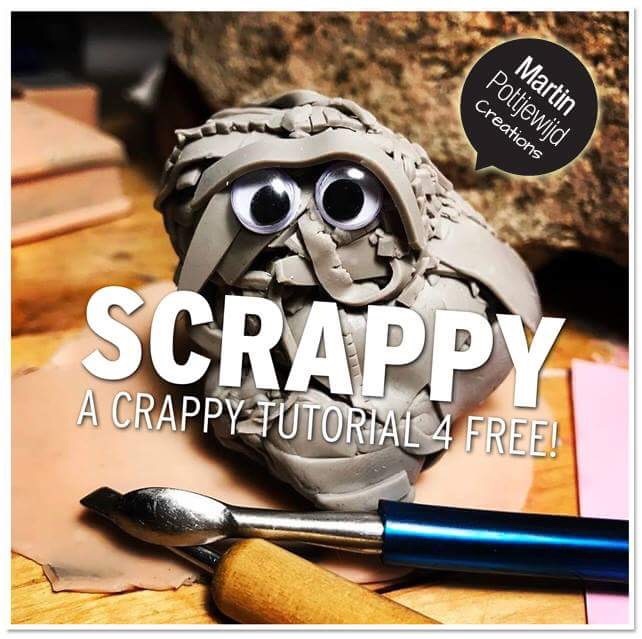 This polymer clay Scrappy Tutorial is by Martin Pottjewijd and is used here with his full permission. Martin is a polymer clay artist from the Netherlands. He makes a wide variety of work including his elaborate and breathtaking castles built on large rocks and his adorable Polly & Mur. You can read Martin’s interview with Polyform here. Martin has graciously agreed to shared this tutorial here with each of you! 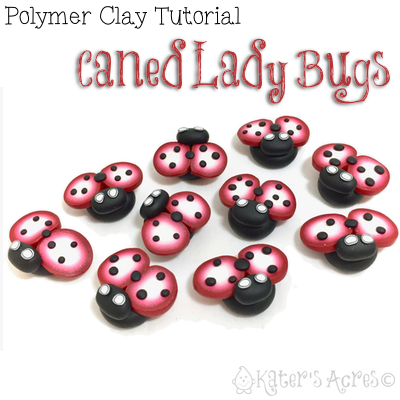 Here’s a simple easy polymer clay ladybug tutorial to make your own tiny little miniatures for yourself. If you joined me yesterday to read about my Into the Forest submission, then you saw these tiny little caned Lady Bugs parading. Now you can make your own. Enjoy! 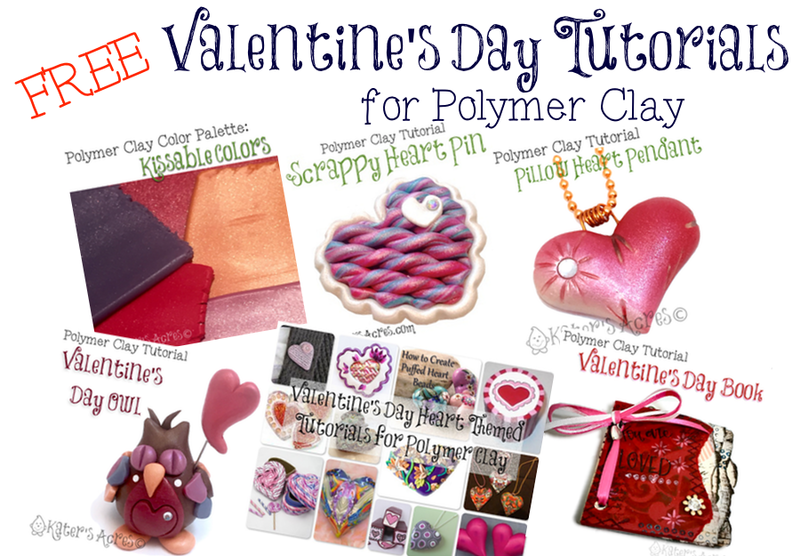 Here’s our free polymer clay Valentine’s Day tutorials that you might like to try your creativity with to make for someone you love this upcoming Valentine’s Day. 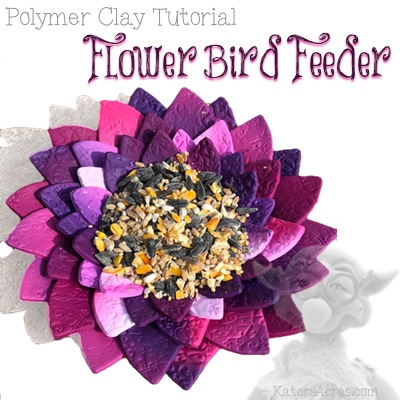 With over 200 free polymer clay tutorials here on KatersAcres, it can be a daunting task to remember where they all are. Valentine’s Day is a favorite Hallmark holiday of many and a joy to create for, and these tutorials showcase a portion of that love! Come try out these free tutorials below. 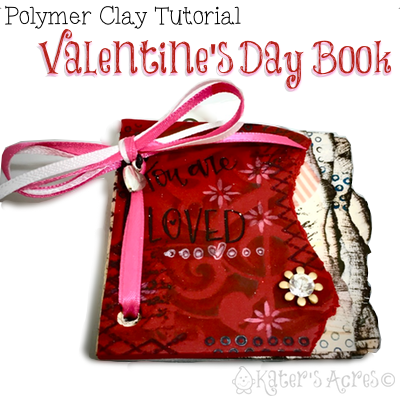 This DIY polymer clay Valentine’s Day book tutorial will show you how to make a cute little book for someone you love this Valentine’s Day. You can fill the book with whatever sentiments you’d like. Here’s a few ideas for you: coupons, reasons why (the recipient) is loved, positive affirmations, love quotes, love scriptures, special memories with your loved one, or anything else you’d like to include. Are you ready? Let’s get started!